Playing in your home arena has traditionally been a huge advantage in college hoops. Since 2010, no power conference has a cumulative home winning percentage lower than 73 percent. While that is a respectable clip to win at, perennial blue blood programs Kentucky, Kansas and Duke are blowing that number out of the water, showing that perhaps dominant teams can take it up another level at home. Duke - This season Duke is 12-1 at home and an impressive 8-5 ATS at home. Duke's lone loss thus far came back on Jan. 14 against Syracuse, but it is important to note it only had one day off after playing at Florida State on Jan. 12. 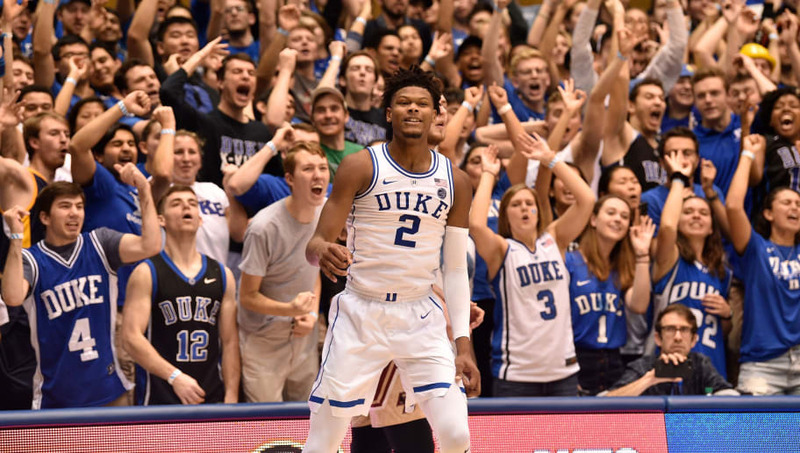 This year's Duke team has been especially dominant, covering six of eight home wins ATS by at least six points and four by at least 12 points. This being said, Duke has been dominant everywhere this season, posting a 20-2 record so far (the one other loss coming on a neutral floor against Gonzaga). Kentucky - So far this season, Kentucky has been perfect in Lexington. It has tallied 13 wins in exactly as many tries. Despite having a slightly better home record than Duke, the Wildcats have not been quite as dominant, covering only seven of the victories ATS. Over the next week, Kentucky's home court advantage will be put up to the test. On Tuesday, Feb. 12, it hosts No. 21 LSU and on Saturday, Mar. 3, the No. 1 Tennessee comes to town. Kansas - Kansas has mirrored Kentucky's perfection at home this year, sporting an identical 14-0. It has really struggled on the road, however, compiling a 1-6 record thus far. Kansas, which has covered less than 40 percent of its matchups this season, has not been nearly as dominant as Kentucky or Duke at home, covering only five of its home victories against the spread. All three of these powerhouse programs have remained dominant at home - compiling a cumulative 38-1 record this season and with only three more currently ranked teams coming into their arenas this season, look for this trend to continue.